If Rick Ross was in dire straits earlier this month, he didn't show it at all while doing TWO shows this weekend ... on both sides of the country. A day after his first show since being hospitalized -- Ross jetted back to his hometown of Miami for a performance at LIV on Sunday ... and jumped onstage while he was there. It looked like a packed house ... Lil Wayne, Jason Derulo and rapper Fresh were also there. 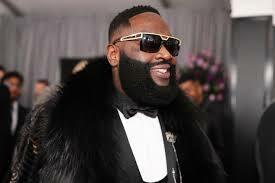 The place was decked out with signs reading, "Welcome Back Rick Ross." Coming on the heels of his early Sunday morning gig in Vegas ... the Miami appearance wrapped up a weekend schedule that would be considered busy for anyone -- much less someone recovering from an apparent heart-related emergency. He's come a long way in less than 3 weeks.